ASUS first announced their new ASUS DR-900 eReader back in March of this year and has now brought the device to market with it arriving in Taiwan stores on November 29th. 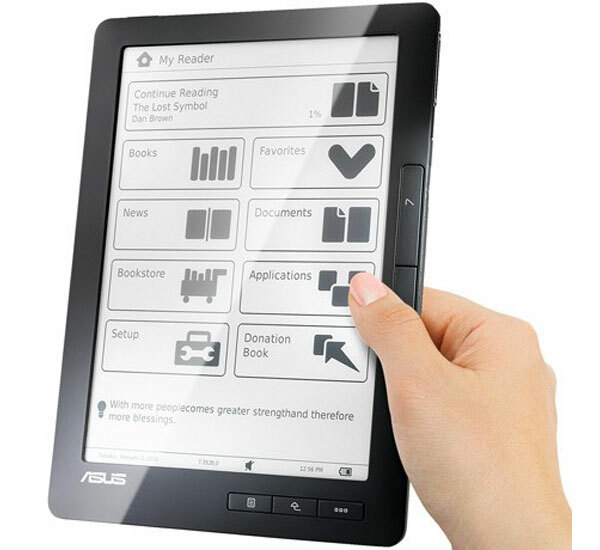 The Asus DR-900 is their first eReader and features a 9.7 inch display with a SiPix e-paper display rather than one from E Ink and provides a resolution of 1024 x 768. It also has 4GB of built in storage, there is also a 3.5mm audio jack and it has support for a wide range of file format which includes PDF, TCT, MP3 and ePUB files. Stil no details on European or US launch dates or pricing at the moment. We will keep you posted though.